Cheri Lucas Rowlands from Daily Post asked us to show something tiny for this week’s challenge. 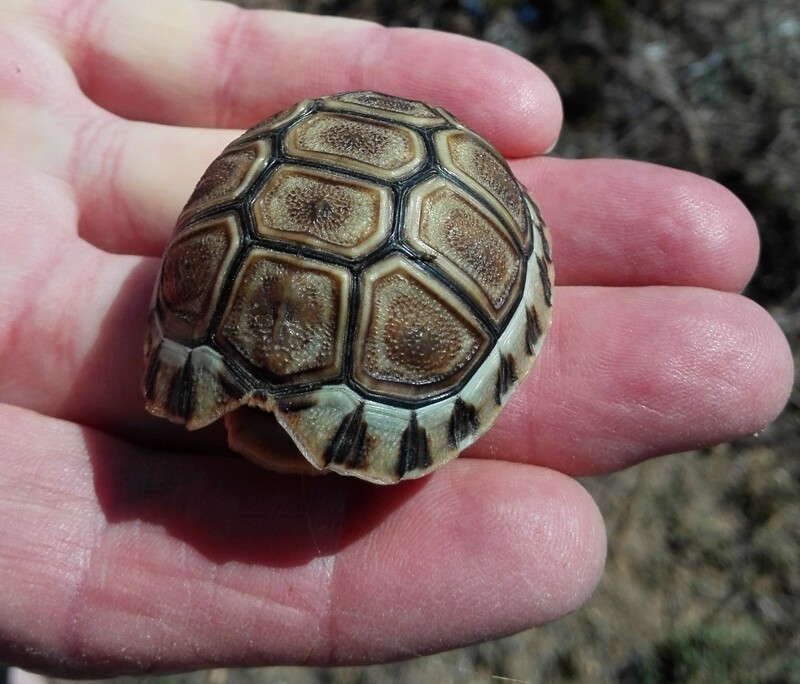 The angulate tortoise is a small, shy tortoise found in dry areas and coastal scrub vegetation in South Africa. Ooh… that is so precious! Mooi patrone en tekstuur op sy dop(pie). Lyk my nes mense-kinders hou hy ook van wegkruipertjie speel! Thank you for the pingback Joseph! Love the colors of this little guy. yes he is rather cute! Awww, so cute. I seem to be saying that way too much this week, but there are lots of cute tiny things. Thanks Janet! It is true! I agree about that! Thanks for your visit! Sjoe maar hys klein. Mooi duidelike foto. Regtig baie klein! Dankie Ineke!